Nerdarchy recently partnered with Pacesetter Games & Simulations as well as Vallejo Paints. Use the promo code staynerdy15 for a 15 percent discount on their products. 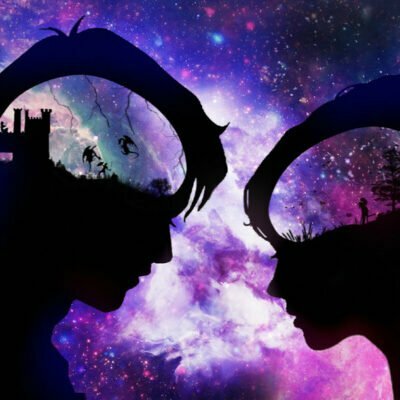 We’ve taken this partnership and built some and cool content for 5E D&D. We kicked things off with Horris the Horned Lord. Most recently we moved on to Abalor the Abhorrent and a dark druid 5E Circle — the Circle from the Beyond. Abalor is based off of the froghemoth model from Pacesetter. It’s a great looking model. You can see it below as painted by Jake Kosman using Vallejo Paints. 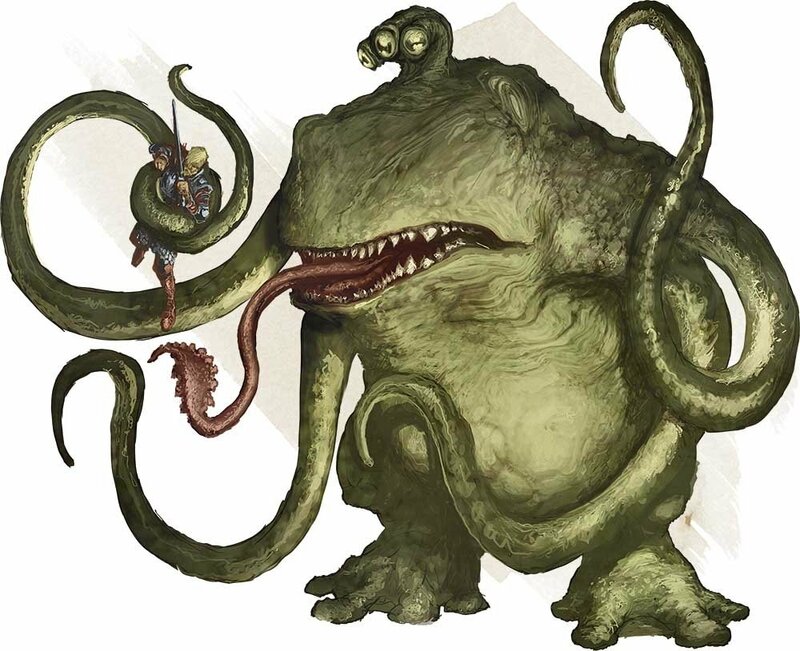 The froghemoth D&D monster was reintroduced into 5E D&D in Volo’s Guide to Monsters. 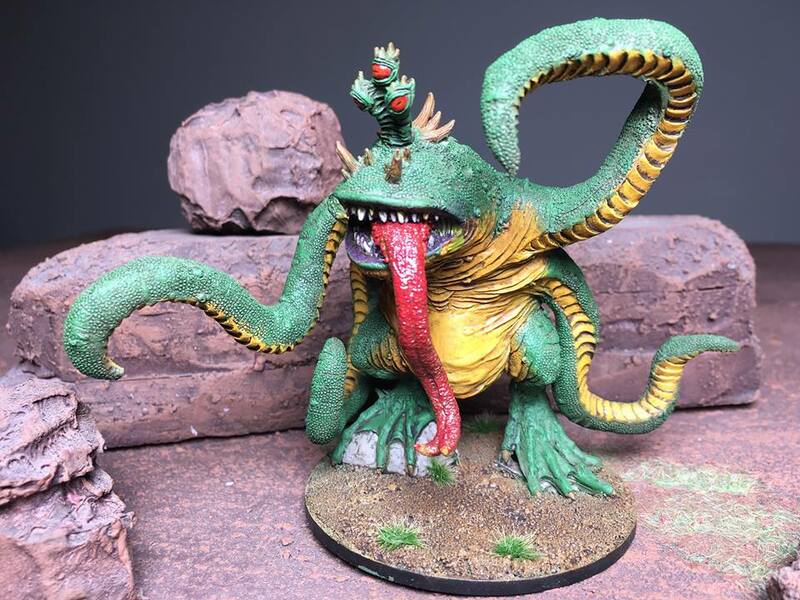 Part of the awesome Nerdarchy, Pacesetter, and Vallejo team-up is a contest to win a froghemoth both painted, unpainted, and the paints to paint your very own froghemoth miniature. There’s a bunch of ways to enter the contest to win the minis and paints. Check it out here. As a bit of fun we created a narrative, starting with social media before moving it into the video above and finally here on the website. Check out the original social media posts below. Abalor the Abhorrent an ancient being from beyond the stars. Some sages refer to it as a froghemoth. Dark druids gather to pay homage to their lord and corrupter. Abalor tutors his dark druids in the ways of the Beyond. The Druid Circle from Beyond is born under the overlord Abalor the Abhorrent. 100 yrs of whispering from his swamp lair. No longer content to plot and scheme from his swamp lair. Abalor the Abhorrent instructs his minions to go forth and spread madness from the Beyond. Abalor the Abhorrent’s dark sermon is interrupted by a group of intrepid adventurers. Dark druids move to protect their lord and master as the adventurers marshal the strength. Who shall prevail these adventurers or Abalor the Abhorrent and his dark druids? Pacesetter Games & Simulations sent us four miniatures. Baphomet Prince of Beast was the first one we created a story around. Next up the froghemoth, which we turned into Abalor the Abhorrent. Moreso we decided to craft a druid 5E Circle based on aberrations. Oddly enough the froghemoth isn’t actually an aberration, but it seems like they should be. They are a monstrosities. For the sake argument and our needs we are going to treat our froghemoth as an aberration instead of a monstrosity. This will play into the origin of the druid Circle from the Beyond. The story is Abalor the Abhorrent is an ancient creature that lands in swamp and invades the dreams and minds of a group of Circle of the Land druids. Over a century ago the druids began getting subverted to will of the abhorrent one. Places and creatures connected to to places like the Far Realm, Xoriat, or other realms of madness can reach out and taint druids in this way. These druids will then be charged with spreading the will of these places and creatures whether consciously or subconsciously. Whole cults often spring up around these druids. They all exhibit the same type or similar of twisted powers. These druids can be downright forces of evil or just disturbed individuals who begin to slip further and further into madness as they peer into places mortals weren’t meant to see. This can either be a new character option, villain, or off-kilter NPC for your 5E D&D game. The druid Circle from the Beyond and new monster options can be picked up over on the Dungeon Master’s Guild as a pay what you want product. Check our Abalor the Abhorrent digital book and let us know what you think.